SY Deals- Making Deal Sites Great Again: Greenworks 1700 PSI 13 Amp 1.2 GPM Pressure Washer with Hose Reel $78.88 + Free Shipping After $46 Price Drop! 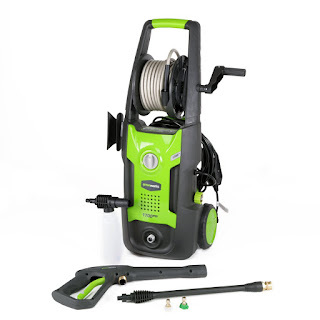 Greenworks 1700 PSI 13 Amp 1.2 GPM Pressure Washer with Hose Reel $78.88 + Free Shipping After $46 Price Drop! Amazon has the Greenworks 1700 PSI 13 Amp 1.2 GPM Pressure Washer with Hose Reel $78.88 + Free Shipping After $46 Price Drop!